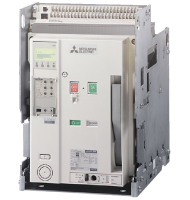 Air circuit breaker is a circuit breaker for the purpose of protecting low voltage circuit, mainly for energizing and cutting off high current. It is used as the master of a factory and building, and as a main circuit breaker of a ship, and it is possible to attach various accessories according to the purpose. We also have a draw-out installation method with high maintainability. Electronic Trip Relay trigger circuit outputs a trigger signal to energize the trip coil, when the CT detects the value exceeds the predetermined value. The WS relay is a general use protection relay of ACB, LTD, STD and Inst characteristics are adjustable. The WF relay incorporates five kinds of LTD characteristics. Protective coordination with upstream OCRs and/or Fuses can be more easily achieved. The WB relay is effective for the combination with the external OCR without severely decreasing the breaking capacity. The characteristics are Inst/MCR only. The ground fault protection (GFR) of several hundred amperes is possible. By combining the ETR with earth leakage protection (ER) and External ZCT, earth leakage protection is possible. This is the extension module that provides various measuring function with combining Display module DP1/DP2 and VT unit. 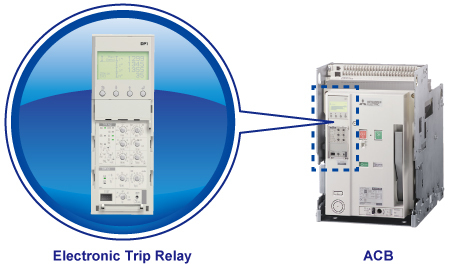 This relay displays current and harmonics for real time monitoring. In addition, fault memory function makes it easier to find out the trip cause. The times of mechanical durability of ACB is significantly increased compared with MCCB. 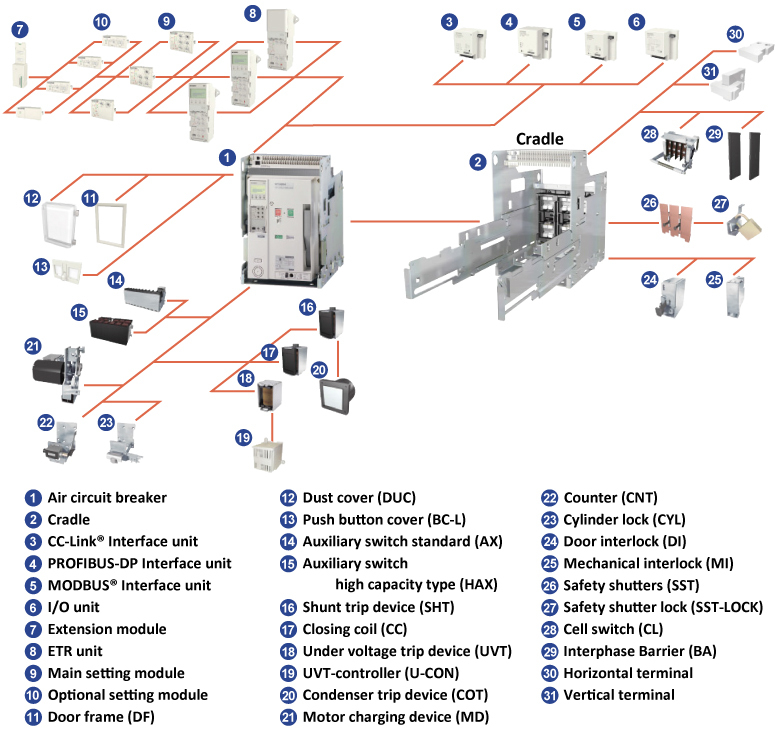 It is possible to circuit breaker ON/OFF management by remote control and monitoring of various information.